Following a fall in the Shanghai market, Chinese Cinderella is whisked away to Grandma Wu’s house to recover. As she lapses in and out of consciousness, she is haunted by dreams that seem strange, yet somehow familiar. 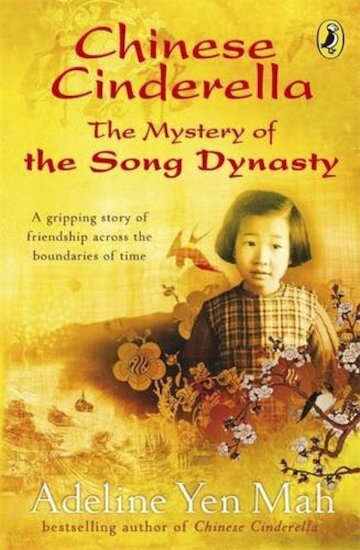 As Chinese Cinderella dreams, a tale unfolds: a tale of slavery and friendship, wealth, poverty, arranged marriage – and of a life lived centuries before. But is it real, or all in her imagination? From a favourite author comes this moving and magical tale of friendship across the boundaries of time. This is a book most definitely worth reading. It’s the true story of a little girl from China, and the troubles she faces. It’s a really touching story and I’m glad I read it. sooo sad, read it in English a few years ago and we have just read falling leaves. i love this book.